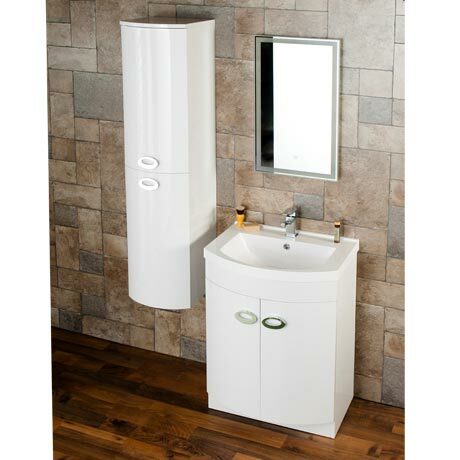 The stylish Orion white gloss bathroom furniture package, features a 600 x 460mm curved floor standing vanity unit with poly-marble basin top and a wall mounted tall cupboard. Both units feature two curved doors and contemporary round chrome effect handles which will bring a trendy look to your bathroom. Make the most of your bathroom with our practical and attractive furniture options.